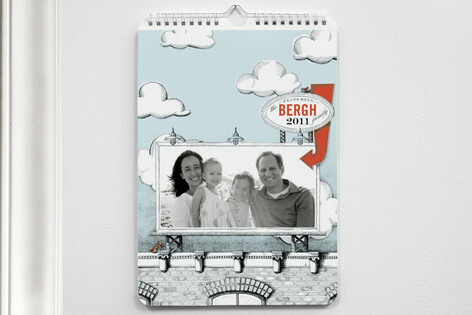 Tired of the same old holiday card designs? Then check out Minted.com. I had never heard of them before, but when the Mom Bloggers Club invited me to join their Minted Holiday Blog Tour, it took just one look at their cute designs to decide I wanted in. Minted.com is an online paper goods store selling note cards, invitations, calendars, holiday cards, address labels, announcements, thank you cards, menu cards, birthday cards and other stationery. What sets Minted apart is their community of graphic designers who submit their designs in monthly design challenges, and the community that selects the best designs, yielding a great selection of original, fresh designs that consumers may have never heard of, or may not have access to through other channels. I love how the text in the Christmas tree can be personalized! I usually like to cram the front of my holiday cards with photos, but I found this tree so charming, I'm happy for it to be the center of attention. 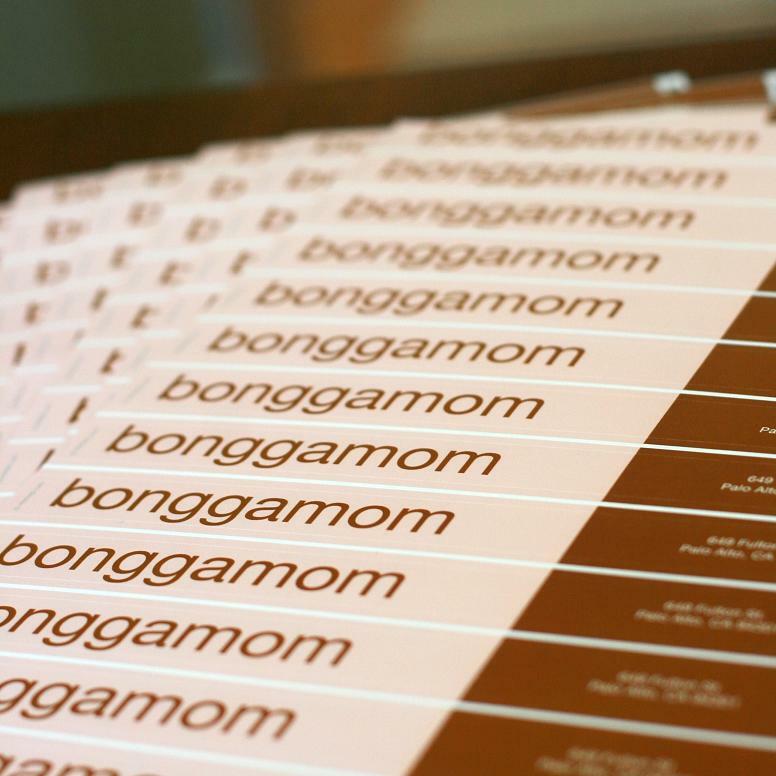 They're designed to be wrapped around the edge of an envelope so that the back of the envelope shows my return address (in the brown background) and the front of the envelope shows"bonggamom" (in the pink background. I've never seen address labels like this before! I couldn't help ordering a set -- naturally, I want all my mail correspondence to be as stylish and bongga as bonggamom herself! Their personalization process for creating the address labels did not have a preview screen, unlike the process for creating cards. I was not able to see what the final product would look like until Minted.com mailed me a proof several days later. In this day and age, we want instant gratification! Minted's designs are some of the most original around, so look to them for one-of-a-kind holiday cards and unique holiday presents! Disclosure: I received complimentary samples from Minted via the Mom Bloggers Club in order to facilitate my review. Product information is provided by the featured company/product and is clearly indicated as such. The views and opinions expressed here are my own.